2 Splutter mustard seed and red chilly. 3 Add onion and garlic.Saute it. 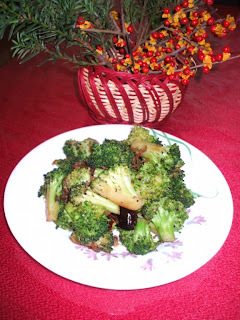 4 Add broccoli florettes and salt.Close it for few minutes. A healthy and yummy dish is ready! You can use it as a side dish or as a healthy snack too.